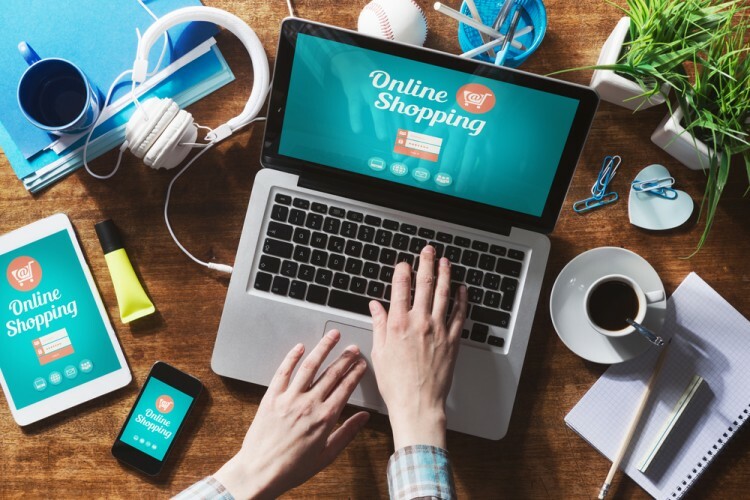 Is JD.Com Inc (ADR) (JD) a Good Stock to Buy Now? Several hedge fund billionaires took advantage of the sharp declines in broader market indices during the 5 hours following Donald Trump’s election victory. In this case markets wised up pretty quickly and the selloffs turned into rallies. Information disseminates very quickly in liquid markets, however, the rate of adjustment is usually slower when it comes to much smaller and less liquid markets. By tracking the hedge fund sentiment in publicly traded US stocks Insider Monkey aims to tap into hedge funds’ wisdom without paying them an arm and a leg. Historically their stock picks in small-cap stocks proved to be the most profitable. Let’s study the hedge fund sentiment to see how recent events affected their ownership of JD.Com Inc (ADR) (NASDAQ:JD) during the third quarter. JD.Com Inc (ADR) (NASDAQ:JD) was included in the 13F portfolios of 44 investors tracked by us at the end of September, but it’s worth mentioning that the company saw a decline in popularity over the quarter. 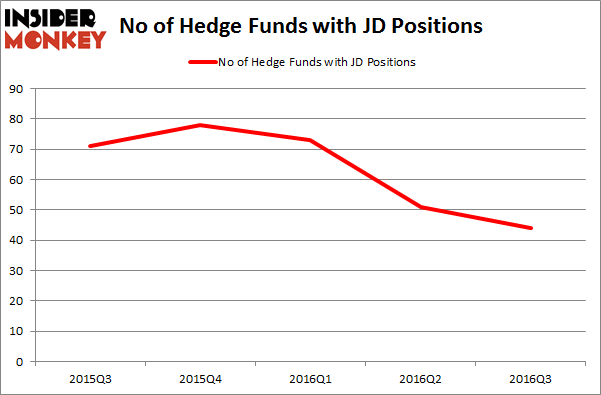 There had been 51 funds with JD holdings at the end of June. The level and the change in hedge fund popularity aren’t the only variables you need to analyze to decipher hedge funds’ perspectives. A stock may witness a boost in popularity, but it may still be less popular than similarly priced stocks. That’s why at the end of this article we will examine companies such as Wipro Limited (ADR) (NYSE:WIT), Edison International (NYSE:EIX), and Equity Residential (NYSE:EQR) to gather more data points. Keeping this in mind, we’re going to review the key action surrounding JD.Com Inc (ADR) (NASDAQ:JD). How have hedgies been trading JD.Com Inc (ADR) (NASDAQ:JD)? Heading into the fourth quarter of 2016, a total of 44 funds tracked by Insider Monkey held long positions in JD.com, down by 14% over the quarter. Below, you can check out the change in hedge fund sentiment towards JD over the last five quarters. With hedge funds’ capital changing hands, there exists an “upper tier” of notable hedge fund managers who were boosting their holdings meaningfully (or already accumulated large positions). According to publicly available hedge fund and institutional investor holdings data compiled by Insider Monkey, Hillhouse Capital Management, led by Lei Zhang, holds the number one position in JD.Com Inc (ADR) (NASDAQ:JD). Hillhouse Capital Management has a $2.99 billion position in the stock, comprising 61.1% of its 13F portfolio. On Hillhouse Capital Management’s heels is Chase Coleman’s Tiger Global Management LLC holding a $873.1 million position; 12.6% of its 13F portfolio is allocated to the company. Some other members of the smart money that are bullish consist of William B. Gray’s Orbis Investment Management, Andreas Halvorsen’s Viking Global, and David Blood and Al Gore’s Generation Investment Management. We should note that Orbis Investment Management is among our list of the 100 best performing hedge funds which is based on the performance of their 13F long positions in non-microcap stocks.